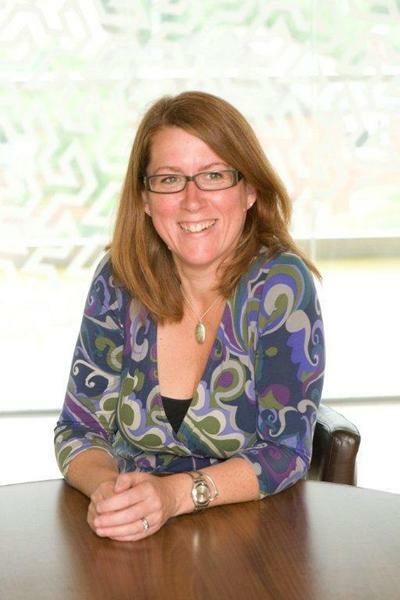 Claire Foster is Professor of Psychosocial Oncology, Director of the Macmillan Survivorship Research Group and leads the Cancer Survivorship and End of Life Care Research Theme in Health Sciences, University of Southampton. Claire's research programme focuses on understanding the impact of cancer and its treatment on everyday lives and how equipped people feel to manage this; understanding the impact of a family history of cancer on people's lives; and developing and testing supportive resources to support people affected by cancer to manage some of the consequences of treatment and make complex decisions about treatment or genetic testing. This is achieved through large prospective cohort studies, qualitative studies, development and testing of complex interventions working closely with clinical, patient, academic and policy stakeholders to support the design, conduct and dissemination of the research. Her current research programme is funded by Macmillan Cancer Support, National Institute for Health Research, Movember. Recently completed projects have been funded by Breast Cancer Now, Research for Patient Benefit, and Roy Castle Lung Cancer Foundation. Within Health Sciences Claire is REF Impact Champion for Health Sciences. She supervises a number of PhD and Masters students from Health Sciences, Psychology and Medicine. This research fellowship aims to gain an empirical and ethical insight into the experiences and attitudes of healthcare users and professionals towards incidental findings from genetic testing, using both quantitative and qualitative research methods. Living with breast cancer can cause considerable suffering, and for many the fear of recurrence of the cancer can cause anxiety and depression that can last for a long time after the initial diagnosis. Mindfulness-based meditation can be helpful and involves learning a set of techniques that enable people to focus or live in the moment. The standard mindfulness course consists of 1 session a week for 8 weeks lasting between 1½ - 2½ hours, with an additional one day 6 hour retreat, with 45 minutes homework per day. This can be difficult for breast cancer patients to commit to if they are working, have children and if they are undergoing treatment. In this study we plan to find out from patients how we can adapt the course to suit them, and then design and develop it in partnership with patients and leading experts in the field of mindfulness. This pilot study will use age specific outcome data to formulate a decision aid designed specifically for women with young onset breast cancer. Grimmett, C., Corbett, T., Brunet, J., Shepherd, J., Pinto, B. M., May, C. R., & Foster, C. (Accepted/In press). Systematic review and meta-analysis of maintenance of physical activity behaviour change in cancer survivors. International Journal of Behavioral Nutrition and Physical Activity. Recio Saucedo, A., Gilbert, A. W., Gerty, S., Cutress, R. I., Eccles, D., & Foster, C. (Accepted/In press). “Stuff tailored to younger people, it’s like we don’t exist”: What young women want to know about surgery for early stage breast cancer. Oncology Nursing Forum. Foster, C., Haviland, J., Winter, J., Grimmett, C., Chivers Seymour, K., Calman, L., ... Richardson, A. (2016). The impact of primary colorectal cancer treatment on physical symptoms and functioning in the first two years: results from the colorectal well-being (CREW) cohort study. Psycho-Oncology, 25(S1), 1-2. Foster, C., Haviland, J., Winter, J., Grimmett, C., Chivers Seymour, K., Calman, L., ... Richardson, A. (2016). Trajectories of quality of life, health status and personal well-being up to two years after curative intent treatment for colorectal cancer:results from the UK ColoREctal Wellbeing (CREW) cohort study. Psycho-Oncology, 25(S1), 2. Demain, S. H., Boger, E., Latter, S., Hankins, M., Kennedy, A., Foster, C., ... Kellar, I. (2014). What are the outcomes of self-management that matter to stakeholders? Study protocol for the Self-management VOICED project. Working Papers in the Health Sciences, 1(7). Foster, C., Breckons, M., Hankins, M., Fenlon, D., & Cotterell, P. (2013). Developing a scale to measure self-efficacy to self-manage problems following cancer treatment. Psycho-Oncology, 22, 1-29. Hopkinson, J. B., Fenlon, D., & Foster, C. (2013). Outcomes of a nurse-delivered psychosocial intervention for weight- and eating-related distress in family carers of patients with advanced cancer. International Journal of Palliative Nursing, 19(3), 116-123. Johnston, B., McGill, M., Milligan, S., McElroy, D., Foster, C., & Kearney, N. (Accepted/In press). Self care and end of life care: patients' and carers' experience. Palliative Medicine. Foster, C., Scott, I., & Addington-Hall, J. (2009). Who visits mobile UK services providing cancer information and support in the community? European Journal of Cancer Care, 1-6. Hopkinson, J., Wright, D., Foster, C., & Dewey, A. (2008). Letter to the editor. Re: Assessment and monitoring of nutritional status in patients with advanced cancer. IJPN 13(6): 258–65. International Journal of Palliative Nursing, 14(2), 100-101. Foster, C., & Amir, Z. (2008). Macmillan’s research units. Macmillan Voice, 46, p.22. Wright, D. N. M., & Foster, C. (2007). Involving people affected by cancer in research. Macmillan Voice, Summer issue. Foster, C., & Watson, M. (1998). Response to N. Dinnie and L. McKee's article Genetic Testing for Breast Cancer: Technical Ethical and Quality of Life Issues. Health Psychology Update, 33, 42-43. Calman, L., & Foster, C. (2017). Problem Solving in Patient-Centred and Integrated Cancer Care Chapter 8: Cancer Survivorship. In G. Velikova, L. Fallowfield, R. E. Board, J. Younger, & P. Selby (Eds. ), Problem Solving in Patient-Centred and Integrated Cancer Care (pp. 39-44). (Problem Solving in Oncology). EBN Health. Foster, C. (2015). Survivorship and self-management in cancer care. In D. Wyatt, & N. Hubert-Williams (Eds. ), Cancer and Cancer Care London, GB: SAGE. Foster, C. (2008). Self-management and self-help. In J. Corner, & C. Bailey (Eds. ), Cancer Nursing: Care in Context. 2nd Edition (pp. 651-658). London, UK: Blackwell. Foster, C. (2008). Symptoms, self management and self help. In J. Corner, & C. Bailey (Eds. ), Cancer Nursing: Care in context Wiley-Blackwell. Calman, L., Taylor, S., Foster, R., Richardson, A., Smith, P., Baird, J., ... Foster, C. (2017). Establishing a prospective cohort of lung cancer patient to investigate recovery after curative intent radiotherapy: a feasibility study. 14. Poster session presented at BPOS British Psychosocial Oncology Society Annual Conference, Oxford, United Kingdom. Calman, L., Richardson, A., Smith, P., Baird, J., Edwards, J., Faivre Finn, C., & Foster, C. (2016). Investigating recovery following lung cancer radiotherapy: testing the feasibility of establishing a prospective cohort. Poster session presented at British Psychosocial Oncology Society 2016 Conference, United Kingdom. Calman, L., Richardson, A., Smith, P., Baird, J., Edwards, J., Faivre Finn, C., & Foster, C. (2016). Testing the feasibility of establishing a cohort of lung cancer patients to investigate recovery following radiotherapy with curative intent. Poster session presented at British Thoracic Oncology Group Conference (BTOG 2015), Ireland. Foster, C., Haviland, J., Winter, J., Grimmett, C., Chivers Seymour, J., Calman, L., ... Richardson, A. (2016). The impact of primary colorectal cancer treatment on physical symptoms and functioning in the first two years: results from the ColoREctal Wellbeing (CREW) cohort study. The British Psychosocial Oncology Society 2016 conference, United Kingdom. Foster, C., Haviland, J., Winter, J., Grimmett, C., Chivers Seymour, K., Batehup, L., ... Richardson, A. (2016). Trajectories of quality of life, health status and personal wellbeing up to two years after curative intent treatment for colorectal cancer: results from the UK ColoREctal Wellbeing (CREW) cohort study. The British Psychosocial Oncology Society 2016 conference, United Kingdom. Grimmett, C., Brooks, C., Recio Saucedo, A., Cutres, R., Copson, E., Evans, G., ... Foster, C. (2016). YoDA BRCA: views and experiences around genetic testing for young women with breast cancer - developing a decision aid. Poster session presented at The British Psychosocial Oncology Society 2016 conference, United Kingdom. Foster, C., Calman, L., Foster, R., Richardson, A., Smith, P., Baird, J., ... Edwards, J. (2014). Establishing a cohort of lung cancer patients to investigate recovery following surgery with curative intent - a feasibility study. Paper presented at British Psychosocial Oncology Conference, . Foster, C., Calman, L., Foster, R., Richardson, A., Smith, P., Baird, J., ... Edwards, J. (2014). Testing the feasibility of establishing a cohort of lung cancer patients to investigate recovery following surgery with curative intent. Poster session presented at British Thoracic Oncology Group Conference, . Grimmett, C., Breckons, M., Calman, L., Corner, J., Fenlon, D., May, C., ... Foster, C. (2013). Exploratory trial protocol of RESTORE; an online intervention to support self-management of cancer related fatigue. Poster session presented at Health Technologies USRG Lunch and Poster Exhibition, . Grimmett, C., Breckons, M., Calman, L., Corner, J., Fenlon, D., Richardson, A., ... Foster, C. (2013). RESTORE: an online intervention to enhance self-efficacy to self manager cancer related fatigue; an exploratory trial protocol. Paper presented at Multinational Association of Supportive Care in Cancer (MASCC), Germany. Grimmett, C., Breckons, M., Calman, L., Corner, J., Fenlon, D., Richardson, A., ... Foster, C. (2013). RESTORE: exploratory trial protocol of RESTORE; an online intervention to support self-management of cancer related fatigue. Paper presented at NCIN Cancer Outcomes Conference, . Foster, C., Calman, L., Breckons, M., Grimmett, C., Fenlon, D., Leonidou, C., ... Corner, J. (2013). Supporting the self-management of cancer related fatigue (CRF): the development of restore an online intervention. Paper presented at UK Oncology Nursing Society (UKONS) Conference 2013, United Kingdom. Grimmett, C., Breckons, M., Calman, L., Corner, J., Fenlon, D., Richardson, A., ... Foster, C. (2012). RESTORE: An online resource to enhance confidence to self manage cancer related fatigue following primary treatment. Paper presented at National Cancer Survivorship Initiative Conference, United Kingdom. Grimmett, C., Breckons, M., Calman, L., Corner, J., Fenlon, D., Richardson, A., ... Foster, C. (2012). RESTORE: Development and trial protocol of an online intervention to enhance self efficacy to self manage cancer related fatigue following primary treatment. Paper presented at COSA-IPOS Joint Scientific Meeting 2012, Australia. Hopkinson, J. B., Fenlon, D., Foster, C., Nicholls, P., Wright, D. N. M., Okamoto, I., ... Addington-Hall, J. (2009). A feasibility study: a mixed methods exploratory phase II cluster randomised trail to investigate the effectiveness of the 'Macmillan Approach to Weight loss and Eating difficulties'(MAWE). Poster session presented at NCRI Cancer Conference, United Kingdom. Foster, C., Fenlon, D., Moffat, J., Stephens, R., Payne, S., Coleman, P., ... Addington-Hall, J. (2008). Exploring the breast cancer experiences, needs and preferences of women aged 70 years and over: a study in progress. Paper presented at INVOLVE National Conference: Public Involvement in Research: Getting it Right and Making a Difference, . Hopkinson, J. B., Wright, D., Foster, C., & Okamoto, I. (2008). Tertiary cachexia: psycho-social factors that contribute to the problems caused by cancer cachexia syndrome. Paper presented at 7th Palliative Care Congress, . Hopkinson, J. B., Foster, C., Wright, D. N. M., & Roffe, E. (2007). Carer impact on self-management by people with advanced cancer. Paper presented at Palliative Care Research Society Scientific Meeting AGM 2007, . Hopkinson, J., Foster, C., Wright, D., & Roffe, L. (2007). Carer impact on self-management by people with advanced cancer living with changing eating habits. Paper presented at National Cancer Research Institute (NCRI) Conference, . Wright, D. N. M., Corner, J. L., Foster, C. L., Gunaratnam, Y., Hopkinson, J. B., & Okamoto, I. (2007). Patient research priorities differ from those of clinical scientists. Controversies in Breast Cancer 2007, . Foster, C., Wright, D., Hill, H., & Hopkinson, J. (2007). Psychosocial implications of long term survival following a cancer diagnosis. National Cancer Research Institute (NCRI) Conference, . Hopkinson, J. B., Wright, D. N. M., & Foster, C. (2007). Tips on eating for patients with advanced cancer: findings from an exploratory study. Poster session presented at Southampton University Hospital Trust Research & Development Conference, . Foster, C., Watson, M., Eeles, R., Eccles, D., Ashley, S., Davidson, R., ... Evans, G. (2006). Impact of predictive genetic testing for BRCA1/2 in a clinical cohort: three years on. In Proceedings (Vol. 14, pp. 23). The British Psychological Society. Foster, C., Watson, M., Eeles, R., Eccles, D., Ashley, A., Davidson, R., ... Evans, G. G. R. (2005). Impact of predictive genetic testing for BRCA 1/2 in a clinical cohort: three years on. The British Psychological Society, Division of Health Psychology Annual Conference: Health Psychology Across the Lifespan, . Wood, C., Lawton, S., Downing, A., Morris, E., Glaser, A., Thomas, J., ... Richards, M. (2015). Health-related quality of life after colorectal cancer in England using a Patient-Reported Outcomes Measure (PROM). (NHS England Publications Gateway; No. 2777). London, GB: NHS England. Glaser, A., Wood, C., Lawton, S., Downing, A., Morris, E., Thomas, J., ... Richards, M. (2015). Quality of life of colorectal cancer survivors in England. London, GB: NHS England. Richardson, A., Addington-Hall, J., Stark, D., Foster, C., Amir, Z., & Sharpe, M. (2009). Determining research priorities for cancer survivorship: consultation and evidence review. United Kingdom of Great Britain and Northern Ireland, GB: National Cancer Survivorship Initiative. Foster, C., Wright, D., Hill, H., & Hopkinson, J. (2005). Psychosocial implications of living long-term with cancer: a systematic review of the research evidence. Southampton, UK: University of Southampton, Macmillan Research Unit. Foster, C., Hopkinson, J., Hill, H., & Wright, D. (2005). Supporting self management of people affected by cancer: a review of the evidence. Southampton, UK: University of Southampton, Macmillan Research Unit. Claire supervises a number of PhD and Masters level students from Health Sciences, Psychology and Medicine.